Solomon Islands went down fighting in a 9-2 defeat to Asian champions Iran the side made their debut appearance at the Youth Olympic Games in Buenos Aires, Argentina. 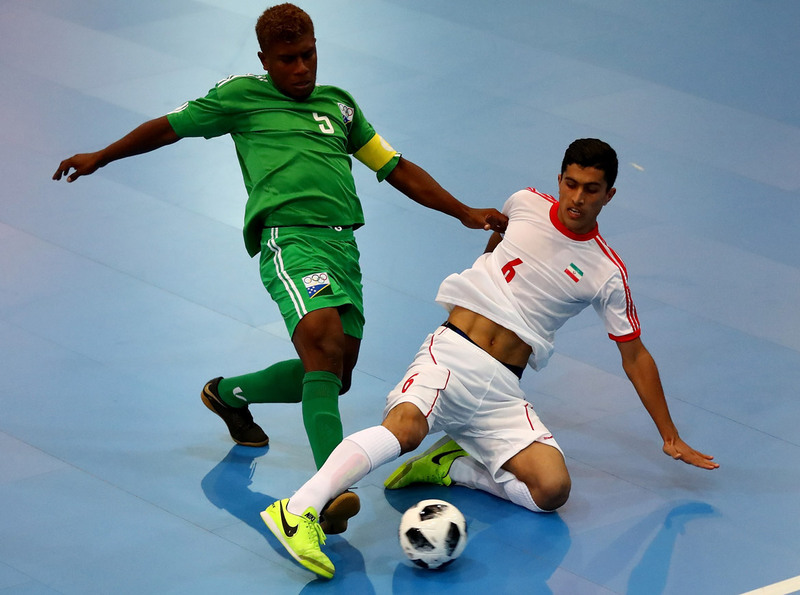 It was a tough outing for the Oceania champions against an Iran side which consists of some of world’s top youth futsal players. Iran scored four unanswered goals in the opening 20 minutes but the Solomon Islands were able to hang on to an equal share of the possession, while also keeping pace with their opponents in terms of shots. OFC Youth Futsal Tournament and OFC U-16 Championship Golden Boot winner Raphael Le’ai opened his international account with a fine strike in the first half. The Asian champions notched a further five goals in the second half to widen the margin, while Le’ai also nabbed a brace with another impressive goal in the second half. Statistics wise Solomon Islands managed 33 shots to Iran’s 38, however the Asian side proved much more accurate with 22 on target to Solomon Islands nine. Solomon Islands coach Stanley Puairana said he was pleased with the effort from his young side. “It’s always tough in any opening match but I am really happy with how my boys competed against a much stronger team,” he said. Russia beaten Costa Rica 6-1 in Group B late kick off to join Iran at the top of the group. Next up for Solomon Islands is Costa Rica on Wednesday 10th October.